When will be Alaska: The Last Frontier: The Frozen Edge next episode air date? Is Alaska: The Last Frontier: The Frozen Edge renewed or cancelled? Where to countdown Alaska: The Last Frontier: The Frozen Edge air dates? Is Alaska: The Last Frontier: The Frozen Edge worth watching? Vow renewal ceremony in the last frontier includes a runaway tractor, a nasty infestation, and a frustrating fishing trip. While foraging and hunting are never easy, they can result in a sweet reward when everything comes together; the Kilchers make a true Alaskan feast from the stockpiles they've worked so hard to amass. After a stretch of abnormally warm seasons, the Kilchers struggle to keep their crops and cattle alive with a limited water supply; they must get through get through some of Mother Nature's road blocks to replenish their supplies. Accidents that prove fatal back in the modern world can be a catastrophe on the frontier; after a perilous fall, life on the frontier may never be the same for the Kilchers. 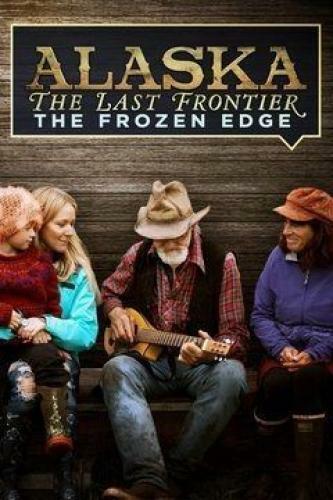 Alaska: The Last Frontier: The Frozen Edge next episode air date provides TVMaze for you. EpisoDate.com is your TV show guide to Countdown Alaska: The Last Frontier: The Frozen Edge Episode Air Dates and to stay in touch with Alaska: The Last Frontier: The Frozen Edge next episode Air Date and your others favorite TV Shows. Add the shows you like to a "Watchlist" and let the site take it from there.